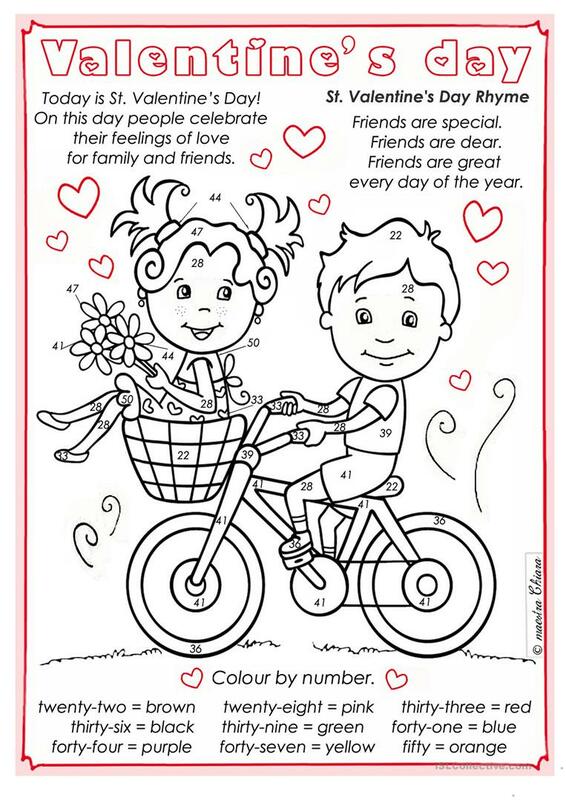 A nice wodksheet for Valentine's Day: colour by numbers, for young pupils, they practice numbers and colours. Good job and... hope you find it useful. This downloadable teaching material was created for students with special educational needs, learning difficulties, e.g. dyslexia at Elementary (A1) level. It is a valuable material for strengthening your groups' Reading skills.